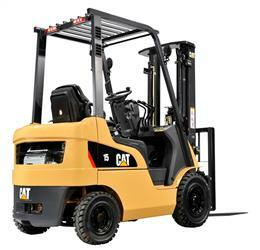 Our range of thermal forklifts offers an excellent balance between power and performance with the advantage of low fuel consumption, making it simple and economical to use. Three types of chassis, five mast designs of different capacity and four engine models are a range of different configurations that allows you to select the perfect combination for your needs. 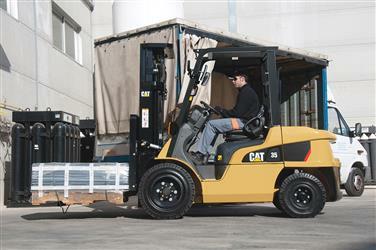 These trucks are perfect for industrial applications because of the excellent traction on sloping or slippery surfaces and superelastic wheels that allow the operator to enjoy extraordinary comfort. The integrated warning system and simple maintenance procedures ensure continuous operation of the truck with minimal costs. The DP models are equipped with powerful diesel engines S4Q2 and S4S of industrial type, reliable and easy maintenance, with reduced emissions and low fuel consumption. Convenient hydraulic controls located on a fully adjustable armrest, allowing easy handling and maneuverability. Cozy operator compartment with excellent visibility of the environment. Double cyclonic filter with high air intake which reduces maintenance. 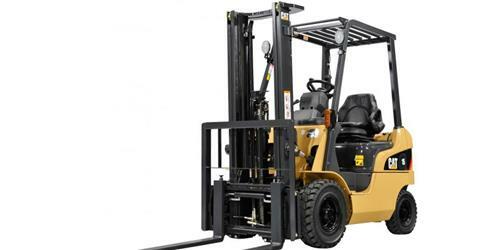 Hydrostatic steering that provides greater productivity. LCD screen that provides comprehensive information on the operation of the truck and its maintenance conditions. Also indicates the service needs, in order to prevent unforeseen downtime due to unplanned maintenance and service tasks. Operator PIN code that prevents unauthorized use of the truck. 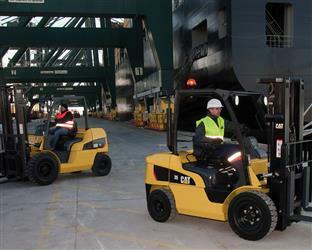 Powerful, reliable engines, easy maintenance, low emissions and low fuel consumption. PowerShift transmissions for easy use and maintenance. The LED lights on the front working lights and indicators. The presence detection system (PDS) prevents the operation of the truck when the operator does not occupy the seat. The vehicle control unit monitors the different functions of the truck, making it easy to identify and solve problems. Hydraulic valves and ducts for the control of auxiliary accessories. Catalyst for the reduction of exhaust emissions. Cooling options, such as coolant level warning, an obstruction-preventing radiator and an easy-to-clean dust-tight mesh, especially for applications with a large amount of dust and dirt. 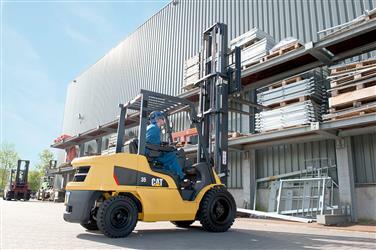 Wheel options, such as special surface tires and double wheels for greater capacity or to reduce pressure on the ground. Transmission options, such as motor shaft protection, torque converter temperature warning, and special dust protection vents.